With a smile on his face and a small chuckle, Shepparton’s Chris Hazelman says he has a suspicion who may have nominated him for a Medal of the Order of Australia. The former City of Greater Shepparton mayor and current manager of the Ethnic Council of Shepparton and District has had an extensive career spanning several community organisations and government roles around Greater Shepparton. Greater Shepparton Council kicked off its Culture Corner series with a mock Malaysian-wedding in the Maude Street Mall on Saturday, April 6, 2019. Victoria Police has launched a network designed to support its officers and employees of African descent, as well as a recruitment drive to bring more diverse perspectives into the force. A website for national family violence law is live to provide legal assistance for all people affected by domestic and family violence in Australia. Young Australians from culturally diverse backgrounds are ambitious and confident, committed to contributing to Australia but feel discriminated against, according to the latest census of multicultural youth in Australia. The Multicultural Youth Australia Report Census Status Report 2017/18 found that multicultural young people articulate high levels of belonging to Australia, and to other local, institutional and social spaces. StandBy Response Service – which provides support after suicide conducted a full day bereavement workshop in Shepparton on 27 March 2019. This workshop engaged service providers and community caregivers with basic suicide bereavement intervention skills and to enhance communities capacity to respond to suicide, trauma and related issues. Shepparton community members come together after Christchurch terror attack. 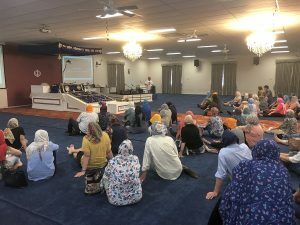 The Shepparton community has come together to talk about the effect of the Christchurch terror attack. Organised by the Greater Shepparton Youth of Colour and Culture, the Community Conversations event on Tuesday focused on the topic ‘unpacking the impact of terrorism on our communities’. 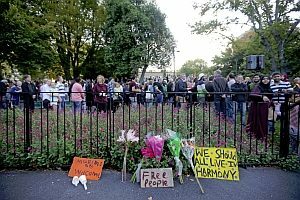 Read moreShepparton community members come together after Christchurch terror attack. Greater Shepparton’s multicultural community came together for the annual Cultural Bus Tour yesterday. 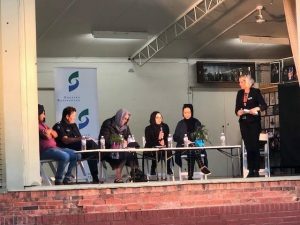 The Ethnic Council of Shepparton and District ran the tour in collaboration with multicultural groups and the Shepparton Interfaith Network. The Board and Staff of the Ethnic Council of Shepparton and District expresses its support for the people of Christchurch with a statement on the Christchurch killings on Friday, 15 March 2019. 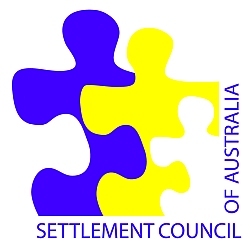 In light of the horrific attacks in Christchurch last Friday,the Settlement Council of Australia would like to acknowledge the heartfelt outpouring of people across Australia, New Zealand and the world in solidarity with our Muslim communities, and to stand up to hatred and violence. The Ethnic Council of Shepparton and District Inc. is a peak body whose mission is to promote and represent the socia l, cultural and economic well-being of ethnic communities in the Goulburn Valley Region through the provision of quality and innovative settlement, refugee support, community development, and information and advocacy services. The Ethnic Council of Shepparton and District acknowledges the Traditional Owners of the land where we deliver our services and we pay our respects to their Elders, past, present and emerging. ©2019 Ethnic Council of Shepparton and District Inc.